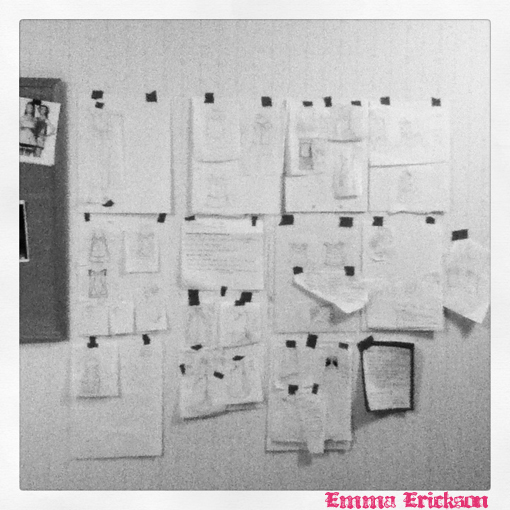 Emma Erickson: Design Process: Omaha Fashion Week F/W 2012 Sketches! 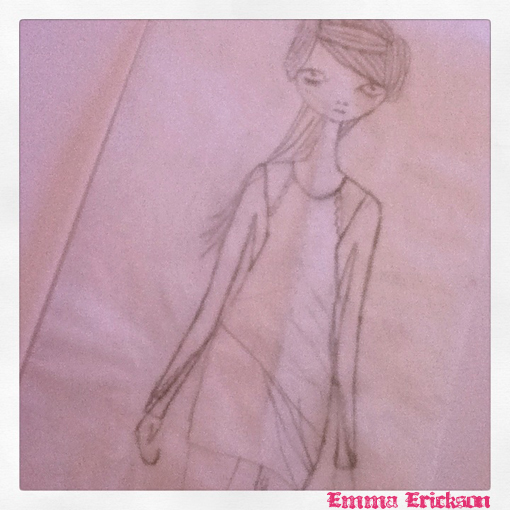 Design Process: Omaha Fashion Week F/W 2012 Sketches! 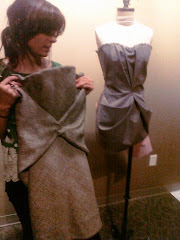 Here is a little peek into my design world for Fall 2012! 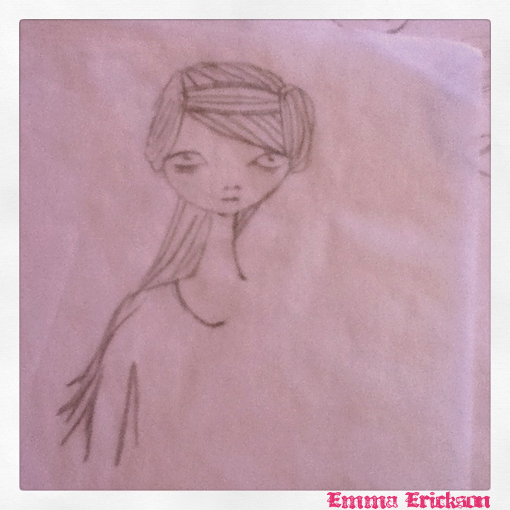 Sketching Fall 2012 designs & mood / look of girl. 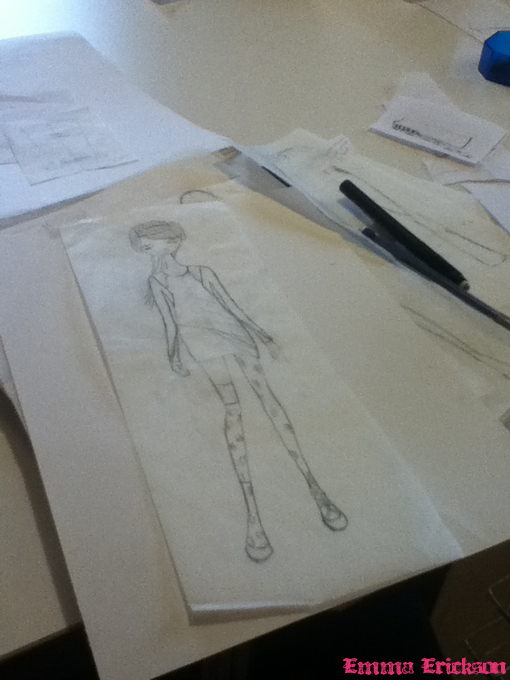 At drafting table sketching mood and design ideas for Fall 2012. Fall 2012 design ideas on my studio wall. The past couple of weeks, I have been researching, collecting and organizing my ideas for this collection. The whole picture is starting to be so much clearer. I hope you can come see me on Friday, March 23rd*! Buy tickets here! I will debut my Omaha Fashion Week Fall 2012 collection along with three other designers: Jane Round, Megan Hunt of Princess Lasertron, and Paddy Tarlton. It's all happening at Kaneko, 1111 Jones Street, in the Historic Old Market district of Omaha, Nebraska. Show time is at 8pm. For more information, click here!